The Grant House in Rush City, Minnesota was built in the year 1880 in the heart of what was then a flourishing milling town. Rush City was growing due to the completion of the railroads that covered Minnesota from the Twin Cities all the way to Duluth. As more and more people traveled the railroads for trade and farming, they would often stop in Rush City to eat and sleep since this was the halfway point along their route. For this very reason, Russell H. Grant, second cousin of President Ulysses S. Grant, decided to build the Grant House to serve as the central building of the town where people gathered to eat, rest, and relax during their travels. The president himself was said to be a popular visitor at the Grant House, as he was often in the area for trout fishing on the Sunrise River. After a fire destroyed much of the original hotel and restaurant in 1895, Russell Grant decided to build a more solid foundation upon the original foundation which had survived the flames of the fire. The new structure of the building included 16-inch thick bricks and some of the original woodwork, which can still be seen in the Grant House today. Then in the fall of 1896, Russell Grant sold the Grant House, and ownership of the building has been since passed to several different people, the latest being Barbara Johnson, who purchased the Grant House in 2012. I went to the Grant House on Sunday morning and spoke with Barbara, who was both very knowledgeable, and also quite excited to share information with me after informing her that my research was for a history class I was currently taking in college. Growing up in Rush City, I heard many stories about the building from people in the community, but never really had read or done any research on the Grant House for myself. It has been one of the buildings in my town that has always been in business, despite the hard economic times many have recently been experiencing. The endurance and strength of the building holds such significance to both my community and me. It is not only a symbol of why our community was started in the first place, but also a symbol of the town’s historic value. Today, it continues to be a place where the residents of the surrounding communities can come to have a nice meal, and even stay the night if they chose to do so. As my research came to an end, I concluded that buildings hold a very important significance as a place where people can gather and talk about their days or share stories and pieces of history that can be passed down from one generation to the next. The Oldest Building. World History students at our host institution, The College of St. Scholastica, were given the assignment to find out about the oldest building in their hometown. The structures students ranged from the modest to grand, and while some were well-documented, the history of most was hard to find. Through their research students found valuable local resources as they found out more about the development of their hometowns. 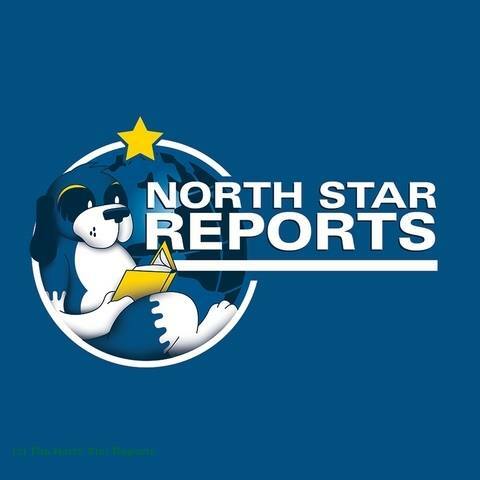 Kathryn Marquis Hirsch, Managing Editor, The North Star Reports. Wow. It’s an odd feeling to read about what seemed to be a pretty famous spot in Minnesota having never heard of it. I have never heard of the Grant House, I’ve never even heard of Rush City before. I’ve lived in Minnesota all my life and the fact that I’m just discovering this place is crazy! I can also relate to a building like this as well though, it may not have been known by past presidents but this article reminds me of Schumacher’s Hotel in New Prague. I guess you learn something new everyday! This is a very interesting article, and I had never heard of this building or its significance before. I always find the history of old buildings to be incredible and fascinating. Nowadays, I think most buildings are created for expansion, and the architect isn’t as glamorous to me as it used to be. Your story of learning about this building reminds me of my own time when I learned about the real history of CSS and the building of Tower Hall. I couldn’t believe that it took me three years (in my Deaf Culture Class of 8 students) before I actually learned the women who were behind the idea of creating a college, and how the process came about. To some, Tower Hall may seem old, outdated, creepy, and maybe even haunted, but I appreciate it’s history. It makes me wonder what other historical buildings I have been in whose story I missed because it got lost over time. Do most buildings made today hold such significant value? Thank you for your post! This is a very interesting article! I’ve grown up in Minnesota and I never knew about this. Throughout my K – 12 experience, I learned little about Minnesota history, which is a shame because there’s obviously so much to learn. I’m glad that it is now incorporated into the curriculum in schools. The amount of history that is held in the 16-inch thick bricks has me in awe. To think that the foundation of the original building is still standing at the exuberant age of 135 years is astounding. The fact that it is still in use is remarkable, especially the way that the town has been witness to many difficult times. This halfway point between Duluth and the Twin Cities is definitely something I’ve never heard of before. If I ever get the pleasure of going past this town I will be drawn to stop in and hopefully stand where so many of eager travelers have stood, where in depth conversation could evolve of the near century and a half that the building has stood. It is nice to have a little bit of history implanted in your hometown. It makes want to look into my own town’s history, and see what I can discover, just as you did. It’s great to have a reason to be proud of your town’s history, as you said that the Grant House has always been in business. Thanks for sharing! Wow, I think historical buildings are amazing glimpses into the past. Having one in your hometown must be such a treat. The huge number of people and stories that passed through the Grant House is astounding. This is such a good read and a nice bit of information! Historical buildings are wonderful ways for people to connect to the past. It is especially interesting that this one is nearby in Minnesota. There is a Historical building in my hometown, Superior Wisconsin, as well, the Carnegie Library. However it is unfortunate because unlike The Grant House, the Carnegie library is in need of restoration, and is currently on the property market. I hope that someday, someone is able to buy the building and restore it to it’s proper original condition. I also hope it will continue to be used for educational and/or Historical purposes. It’s wonderful to hear that many people are still connecting through the Grant House as a little ‘blast to the past’. Mackenzie, this is so neat to read! Even though my boyfriend has lived in Rush City since the 6th grade, and you and I have played each other in high school sports, there is so much about this place I never realized, even with all the times I am actually in Rush City. This has always been the place that Jesse and I talk about going to, but never actually make it to. I wonder if the inside holds as much splendor and design from the old building as I would imagine? This article has inspired me to make a trip to this wonderful place the text time I’m in town! And to think we lived next to something this awesome for so many years. It’s really neat to know that the President stayed in Rush City so often! I fish with my family on the Sunrise river, so that was fun to find out. Also, I think when you said, “. The endurance and strength of the building holds such significance to both my community and me.”, I felt a little nostalgia because some of the older buildings in my hometown give me the same feeling. Growing up near Rush City, I knew there was alot of history in the area. What I did not expect though is the housing of the President. Most people think of Rush as just another sleepy town tucked away next to 35, and I’m glad this article was written to raise awareness. I loved the area, especially the Grant House, and I’m glad you were able to capture it wonderfully here. I always am curious why some buildings last so long while others are so easily replaced. This seems to be an example of one that has been maintained and appreciated by many. But some buildings have a short life. For instance, some stadiums — Wrigley Field and Fenway Park — are embraced and beloved by many; however, much younger stadiums like the Metrodome are easily replaced. Stadiums are just one example I can think of, but I’d like to dig a little bit more into this topic. I think your last statement is one that is often disregarded in our busy lives; every building has a story, a meaning and had (at some point or still does) a future intended for it.They are an important part of history in every town. I really like the way you show your readers about a piece of this town in Minnesota that most have heard about but perhaps don’t think about. Good report! To put the building into perspective more today it basically served the purpose of a rest stop. But comparing the Grant building to a rest stop is a shame because the building serves a much larger purpose than that. All of the history, memories, and people that have been in the presence of that building has to be more than I can imagine. The building has to contain some of history’s secrets, and the foundation is significant for more than just a building, it is the heart of the town. To me that is amazing and something that should be kept around. I am glad the Grant building has been preserved, and I continually hope it will stay that way. Architecture lends a strong and lasting image into our past. There is so much that one can learn about the history of a place based on the buildings left behind. My hometown, Stillwater, MN, is known as the birthplace of Minnesota and known for its big lumber booming era. The historic downtown district is remnant of its bustling past with remaining lumber mills still looming in the foreground of the landscape. This article inspired me to look up what Stillwater’s oldest building is. I found out that Stillwater is home to Minnesota’s first and oldest courthouse! My family lived there in the mid 90s.. before it was renovated. 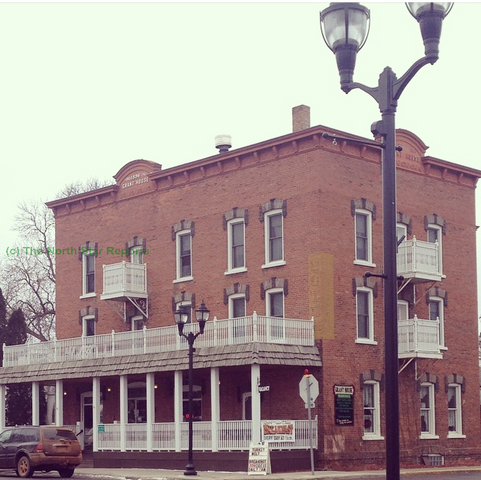 After reading this article, I decided to look into old buildings in my hometown: Superior, WI. I discovered that multiple commercial and large residential buildings constructed between 1890 and 1892 and are still standing. So many buildings were built due to an economic boom with the development of railroads and expansion of shipping in the area. However, the panic of 1893 lead to a sharp decline in construction. Mackenzie said the Grant House had always been in business despite economic hardships in the town. In contrast, I see many of the historic buildings in Superior being neglected because there simply is not money to renovate them. It is really interesting how a place such as Rush City was such a huge impact on society in the late 1800s, as even though it was most people’s final destination it was still the central stop for most individuals. I would love to see The Grant House in person as I bet it has amazing wood features that show the character of those who not only made the house and owned it but also of those many travelers that “gathered to eat, rest, and relax during their travels” in this brick house. I have always been a fan of structures that have been preserved through long periods of time due to its sentimental, historical, or practical value as they tell us more about our ancestors than we actually think about. I bet it was an amazing experience to actually meet the present owner of the house, as she probably not only had amazing lessons and facts, but also interesting stories that most people wouldn’t know about the place. I am really happy that this house is still in business and I hope that future generations of people see it as “not only a symbol of why our community was started in the first place, but also a symbol of the town’s historic value” just like you do. I like the idea of looking into the oldest building in my hometown. I am from such a small town I don’t even know if there is a building other than maybe a old farm house that is super old there. I think that transportation has such a huge impact on the cities ability to flourish because it makes the difference of being able to get gabs, spend the night, or stop for something to eat if you are just passing by. I am surprised that after the fire of your significant building that they still rebuilt in the same place and based it off of the old building! This shows respect of the past building and helps keep the stories similar. I found this article super interesting to read, as I have never visited Rush City or heard of the Grant House before. The history of older buildings is always something intriguing because they can hold so much meaning to the people and town, and be representative of the era they were built in. I find that Duluth has many older buildings, but I have never really looked into what they currently are or used to be. The one exception to this is the Glensheen Mansion, which serves as a large tourist attraction for the city due to the family history and Clue-like murders that occurred there. Overall I really enjoyed this post, thanks for sharing!